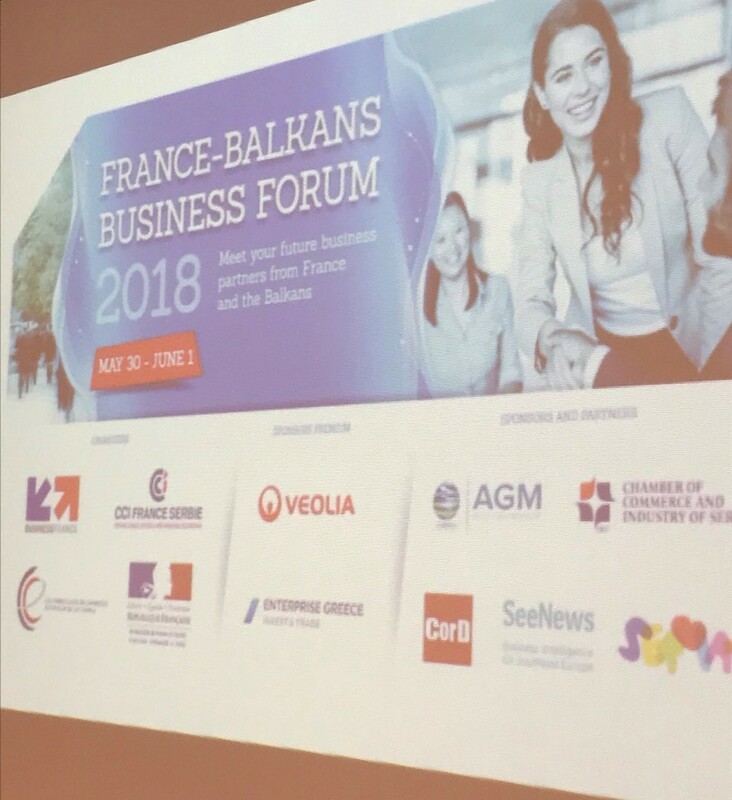 France - Balkans Business Forum was held in Belgrade from May 30 - June 1, 2018. The forum aims to present the potential for investments in the Balkans to companies and businessmen from France and the Balkan peninsula and enable them to find partners. That was an opportunity to meet potential French business partners from 60 French companies in different sectors: Agro-industry, Energy, Infrastructures-Environment, IT and Tourism, and others. More information on how the France - Balkans Business Forum went on this link.